Other than original “click” boards you can reuse your .Net Gadgeteer supported modules (from GHI Electronics) thanks to the G-Adapters that are able to adapt .Net Gadgeteer socket with MikroBUS socket. Until today not all drivers are available for all modules but the team is still working on them. 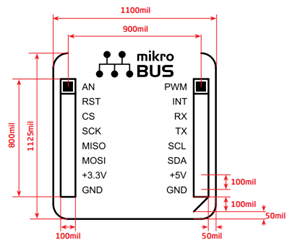 Another interesting feature is the “Virtual Socket” : you can connect a component to the board using the screw terminals without MikroBUS socket but using it like you had a socket. 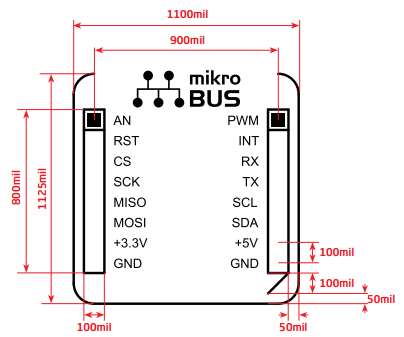 In this way you can use the provided driver even if you don’t have the component not mounted on a “click” board. Of course you can develop your applications using a first class IDE like Visual Studio 2013 (also the Community Edition) and manage code with C# as language. It was just a quick introduction but in the future we’ll deep into it to understand how to use and develop with this powerful board ! « Full agenda : travelling for the Internet of Things ! 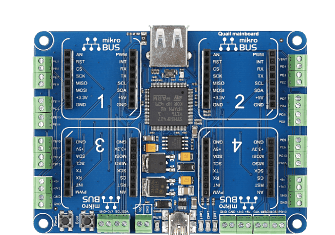 - MikroElektronika has built more than 100 Click boards but indeed we only have NETMF drivers for about 50 of them at the moment. About the Virtual Sockets, we are currently preparing a blog post with more details on it : what it is and how to use it. It should be online very soon. After this one, another blog post will cover the Storage class, that permits the use of any memory module (Flash, EEProm, FRAM) to be used as a storage place (to store sensors values, for example) or as a FileSystem device (using TinyFileSystem).